You’ve never seen a pack of Malteaser’s vanish before your very eyes at the cinema than when you are sat next to my dad. He would manage to get through a whole bag before the film had even begun. 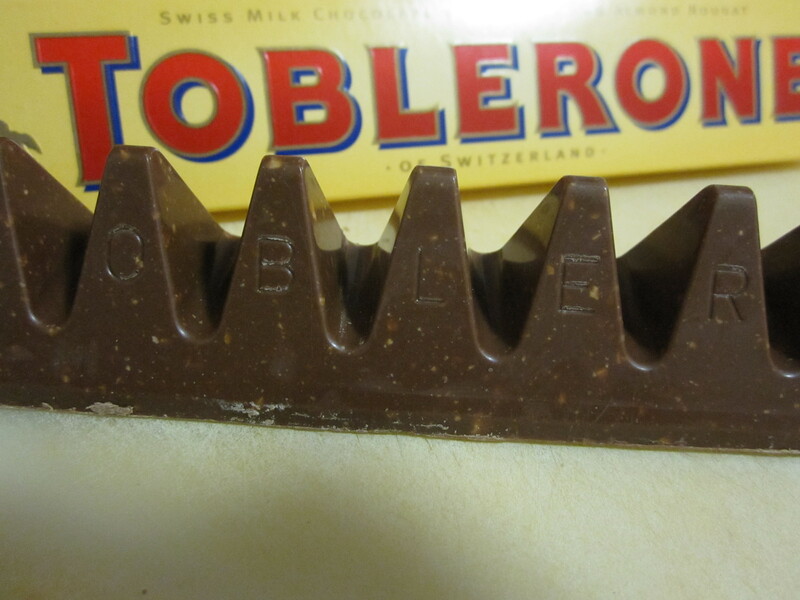 It’s the same with Toblerone since I can remember I think my dad can change the shape of his throat to a triangle to eat Toblerone even quicker! And don’t get me started on a box of Chocolate Fingers – they don’t even make it on to a plate! But supposed you need a high sugar intake to have the energy to deal with all my cheek! It was Captain Oddball’s (aka. my dad) birthday on the 3rd of January, which is rubbish time to have a birthday. Everyone is already partied out and broke and worst of all trying to diet. 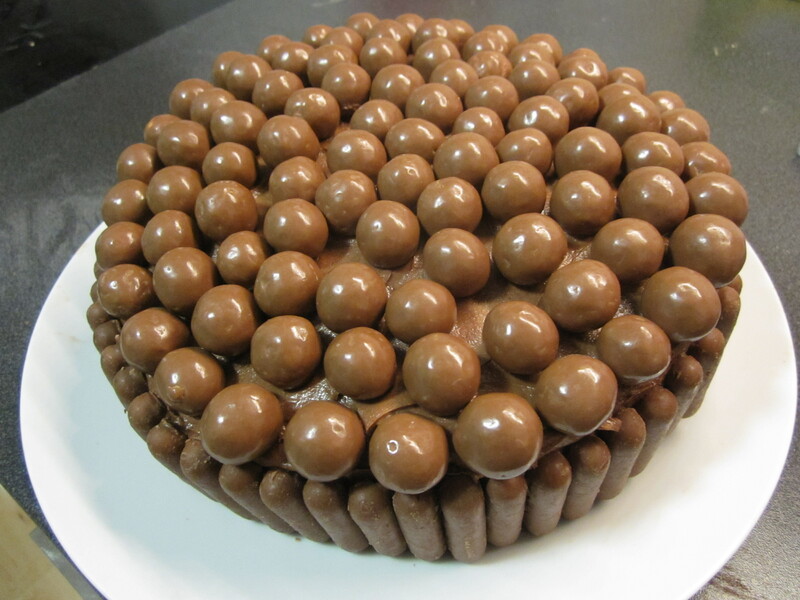 So this year I made him the anti-diet birthday cake containing all his favourite chocolates topped with a whole bag of Malteasers! Oven to 180C. Line two 8" sandwich tins with parchment paper or the chocolate sticks to the tins. Beat the butter and sugar until light and fluffy. Beat the eggs, one at a time. 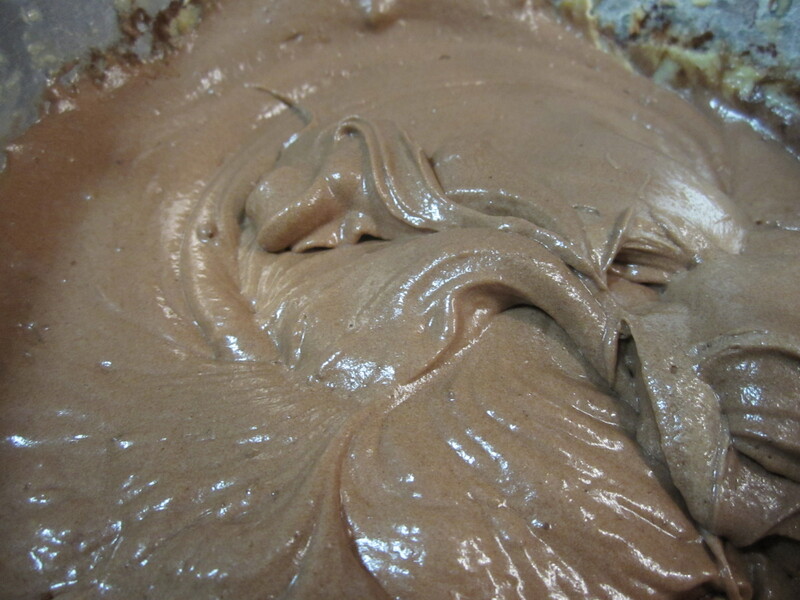 Whisk in the flour, cocoa powder and malt drink powder until you have a batter. 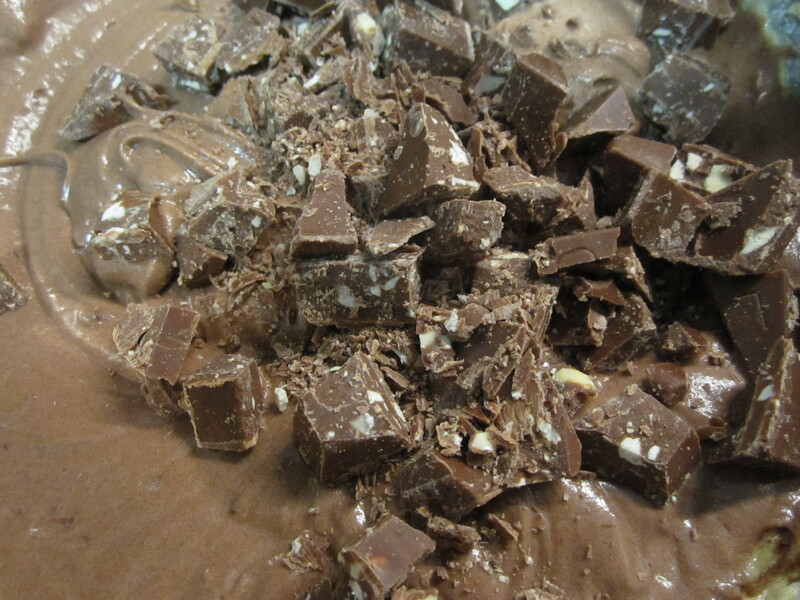 Fold the Toblerone chunks in to the batter. Pour have the mixture into the prepared tins and the rest in the other tin. Bake for 20 mins until a skewer comes out clean. Cool for 10 mins before turning out on to a wire rack to cool completely. In a clean bowl, whisk the butter until soft and fluffy. Beat in the icing sugar and cocoa powder in stages. Place one of the cooled cakes on to a plate and add a third of the icing to the middle and smooth out to the sides. Top with the other cake. Using the remaining icing, cover the top and sides of both cakes. This will be the glue for your biscuits and Malteasers. 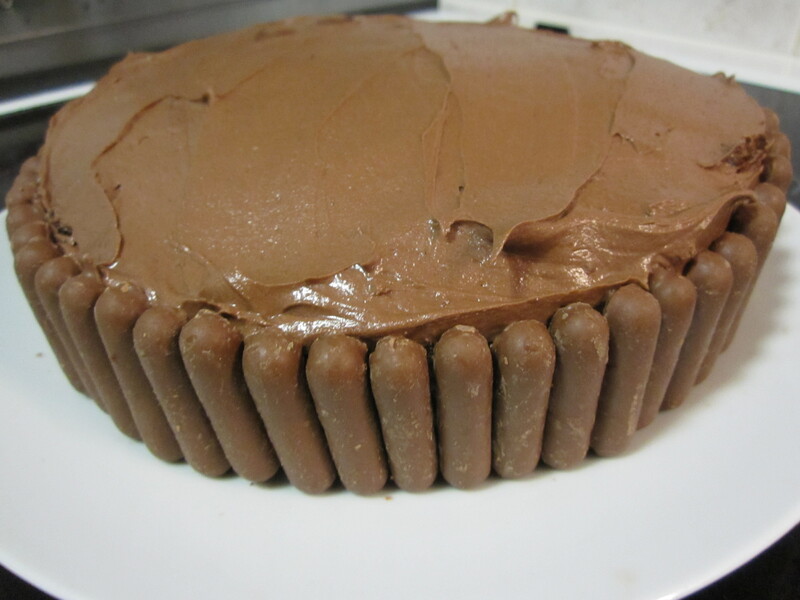 Stick the chocolate Fingers all around the edge, covering the cake sides. 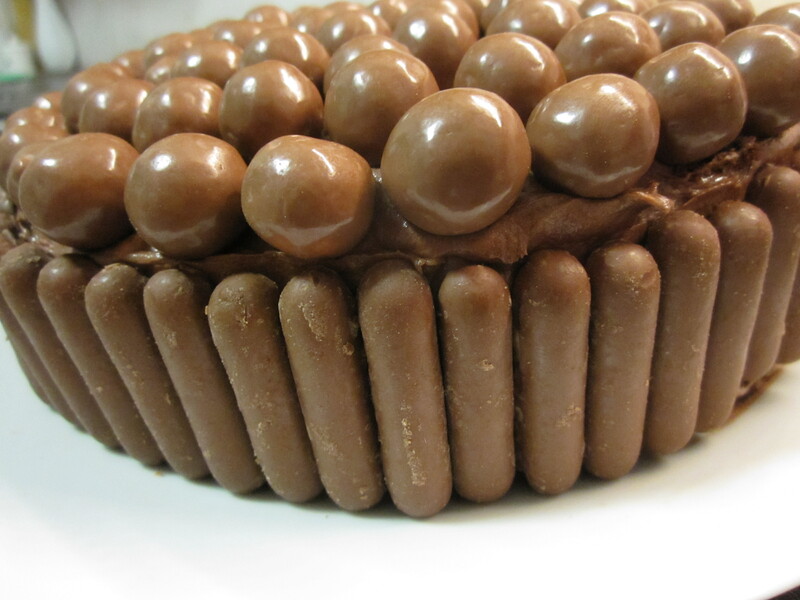 Top with as many Malteasers you can put on the top, eating the remaining - chef perks. Decorate with a birthday candle and spoil the birthday boy or girl. This looks soooo good! I’ll have to make this soon 🙂 Thank you for sharing! Your dad has excellent choice of chocolate!